Expanding their lineup, after the smallest Scout Sixty, Indian Motorcycle has launched Chieftain Dark Horse in India. Before you get confused it is different from the Chief Dark Horse they introduced last year and is an addition to their Bagger lineup. Like most of their motorcycles, Chieftain Dark Horse continues to be powered by the Thunderstroke 111 V-Twin engine and features complete blacked-out theme along with customisation options. It comes in matte black colour with a few dashes of chrome sprinkled in to make for a big head-turner. To amplify the blackened theme, Indian has gone all out and has lent the black theme to forks, mirrors, handlebars, tank console, engine and even the logo. 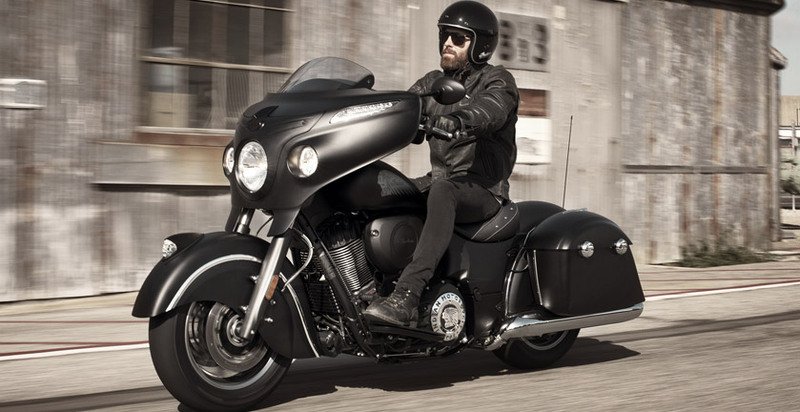 Like the Chief Dark Horse, the Chieftain Dark Horse comes with a single seat with short tinted power windscreen and lockable hard saddlebags on either sides (not on offer on the Chief Dark Horse). Indian Motorcycles has priced the Chieftain Dark Horse at Rs 31.99 Lakh ex-showroom Delhi just over their Springfield. You would be surprised to know that, with this latest addition, Indian Motorcycle has a 9 motorcycle strong lineup in India with prices ranging from about 12 Lakhs all the way till near 40 Lakhs. A few weeks back we became the first motorcycle portal in India to have tested their most affordable Scout Sixty and we took it from Delhi to Mumbai. You can read its detailed review here.